The endowments offer a competitive grants program open only to non-profit Catholic organizations within the Catholic Diocese of Pensacola-Tallahassee who provide services that complement the stated focus of the individual endowments created within The Catholic Foundation of Northwest Florida, Inc. Those endowments were originally seeded with donations to the Sharing The Vision ~ Growing In Faith campaign conducted in all the parishes from 2007 through 2009. To review a copy of the Campaign Brochure and see the ministry areas addressed by the endowments click here. We anticipate that grant applications will be prepared by ministry leaders and volunteers; the application asks simple, straight forward questions to make the process as easy as possible. You can always call the Office of Stewardship & Development at 850 435-3500 to answer any questions you may have. 1. Applications with specific use for funds and clear measurability of goals and outcomes. Parishes/schools/agencies are strongly encouraged to specifically outline the use of grant dollars in their applications. A presentation that outlines how the success of the program supported by the grant dollars will be measured with clear parameters for success and transparency to the committee is recommended. 2. Clear evidence of alignment with or consistency with strategic planning/pastoral plan and a parish/school/agency mission statement. Strategic planning and a mission statement help a parish, school, or agency to focus priorities (including financial expenditures and plans to generate income to sustain those priorities). This will help ensure that the purpose of the award is a priority for the parish/school/agency. 3. Plan to sustain growth in ministries in future with local funding. Parishes/schools/agencies are encouraged to identify in their proposals potential future funding sources to sustain the growing or expanded ministries, so that future Endowment Fund distributions will be available to a broader base of parishes/schools/agencies in the future. 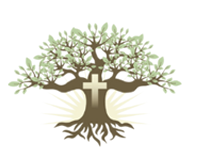 To access the Catholic Foundation of Northwest Florida Grant Application click here.